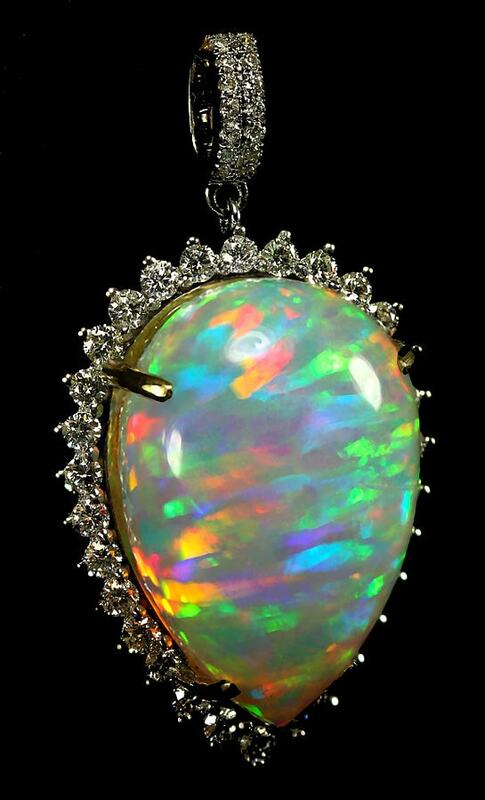 Those born between September 23 to October 22 have the stunning opal as their zodiac birthstone. Opals display a wide range of colour that has been described to look like an entire galaxy inside a single stone. Each opal is unique and looks so as their structure results in unique plays of light and colours shining off their forms. These colours look stunning, like fireworks or lighting against a night sky. Librans are kind individuals, gentle in nature and artistic souls who appreciate simple pleasures and beauty such as a bird singing or a flower in bloom. At the same time, Librans also love material comforts and spare no expense when it comes to purchasing luxury items, making their spending a tad frivolous. Librans love peace and can therefore have a hard time turning down people for fear they will upset the balance and disappoint them. For Librans, wearing beautiful opal is said to influence their lives in a positive manner, helping them keep the balance that they crave, while not putting their own interests on the line when trying to please those around them. Wearing opals especially when it comes to financial and relationship matters. Opals display a wide range of stunning colours and have been described as a rainbow trapped inside a stone among many other colourful analogies used to capture its mesmerizing beauty. Ancient Romans believed that because this stone displayed so many different hues it was extremely powerful and valuable. 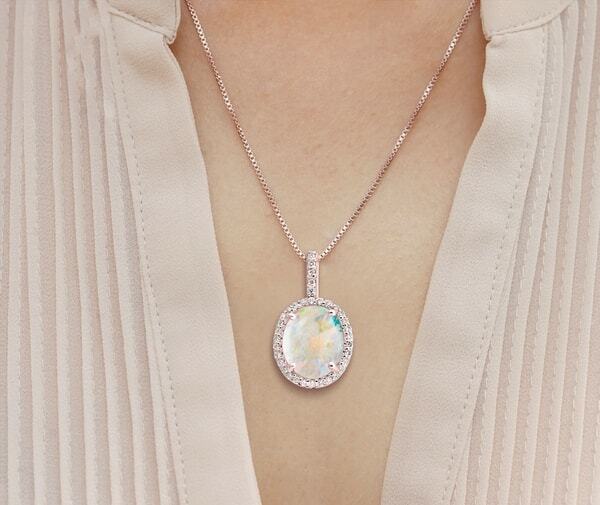 An opal’s kaleidoscopic range of colour evokes a mystical allure in those who witness its beauty, and many cultures through the ages believed that it had magical powers. 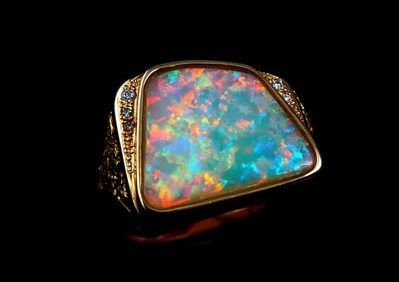 According to Arab takes, opals fell from the skies through lightening that hit the earth. Greeks thought that these colourful stones protected them from deadly diseases and those from Europe associate opals with virtues of truth and hope. Opals are sectioned into different categories depending on their base colour. White opals are light stones that showcase blue, green, orange and yellow plays of colour. On the opposite end of opal, varieties lie the black opals. These have dark overtones of blue to black and display colours in the same range as those displayed by white opals. Another variety is the Mexican opal, also known as the fire opal. This fire opal showcases an orange to red cast – these stones sometimes display an inner play or light and sometimes do not. Opal is the zodiac birthstone of birthstone of the sun sign Libra and has a good influence on those born under this sign. Many believe that people who wear opals and who are not Libran will face bad luck but this is just a myth that gained prominence over the years. The superstition originated from what was published in a novel from the 1800s called Anne of Geierstein by Sir Walter Scott. There is no basis to these claims – it was just fiction that got misinterpreted as fact as was passed down through generations. Contrary to this false belief, opal has historically been thought to be extremely lucky and magical because of its otherworldly appearance. For Librans, the opal is generally thought to enhance their quality of life, giving them a more hopeful outlook and positive attitude which can make them more peaceful people. Librans tend to be indecisive as they seek to please and keep the peace in all situations. Wearing an opal is said to help with this uncertainty in their decision making, making them more confident and sure of their opinions. This, in turn, is said to help them lead more satisfying lives, with reduced second-guessing about their decisions. The brilliance and fire of an opal symbolise positive energies, power, vitality and endurance which helps Librans in their day to day lives. The stone is believed to ease digestive issues, help cure eye infections and other vision-related issues and generally aid the body with healing. Other stones that also have a positive impact on Librans are sapphire, agate, aquamarine, peridot and tourmaline. 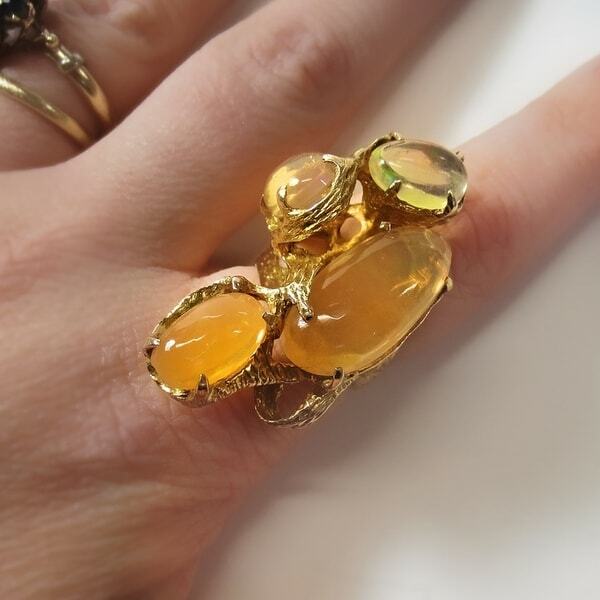 More more information on gemstones, check out the symbolism behind gemstones. Opals are very loved in India and besides large brands, you will also find opal jewellery in smaller jewellery shops in Jaipur, Goa and other places around the country. Their magnificent fire and plays of colour make opals striking choices for jewellery. And they’re not as expensive as other coloured gemstones such as rubies, emeralds and sapphires. 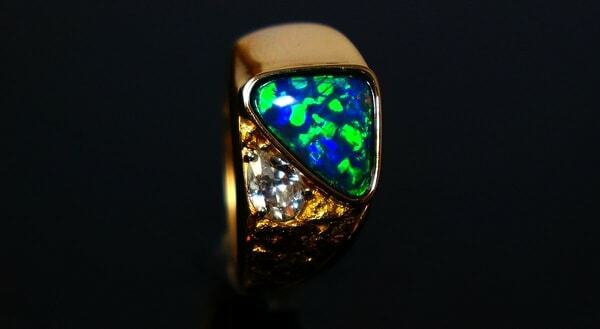 Often, a single opal will be showcased in a beautiful ring or pendant, showing off the stones beauty to the fullest. 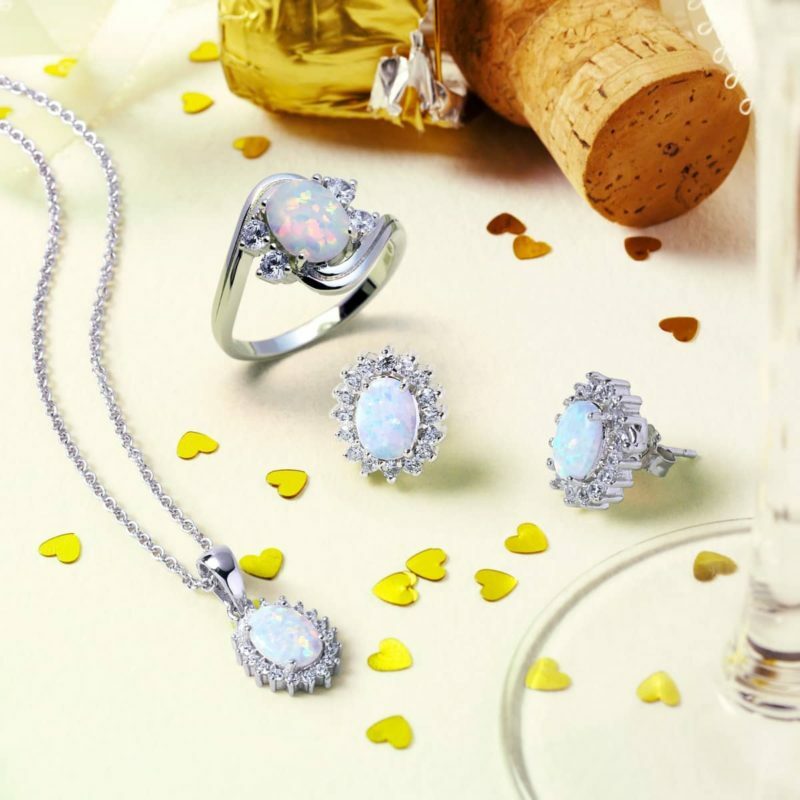 Buy opal jewellery at big jewellery stores, many of which have dedicated birthstone collections to choose your zodiac birthstone jewellery from. Here are the best jewellery stores in India where you can look for quality opal jewellery. Online, websites such as Amazon too sell trinkets featuring this zodiac birthstone, but make sure you read the reviews carefully before you purchase. If you live out of India, American brands such as Zales, Macy’s, Amazon.com, Bluenile.com and Etsy sell zodiac birthstone jewellery. By browsing these sites you will definitely find something within your price bracket. Opals are unique and beautiful gemstones with beautiful symbolism and rich history. It’s a stunning stone to showcase in jewellery, a rainbow of colour and an explosion of sparkle and fire all contained in a single, stunning stone.